In testng.xml file we can specify the specific package name (s) which needs to be executed. In a project there may be many packages, but we want to execute only the selected packages. The below is the example testng.xml which will execute the specific packages. Marks a method as supplying data for a test method. The annotated method must return an Object where each Object can be assigned the parameter list of the test method. The @Test method that wants to receive data from this DataProvider needs to use a dataProvider name equals to the name of this annotation. The name of this data provider. If it's not supplied, the name of this data provider will automatically be set to the name of the method. We will follow the below steps to install TestNG in Eclipse IDE . First Way on installing Eclipse is using "Install new software" option. Second way is using "Eclipse Market Place". - This option will be available in new versions of eclipse. NOTE: If your using eclipse latest version, please use Eclipse Marketplace option which is very simple, explained at the bottom. 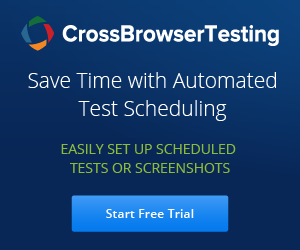 TestNG is a unit test framework designed for testing needs (developers / Test Engineers). It is inspired from JUnit by adding new functionalities which made TestNG more powerful than other unit test frameworks. 2. We can run classes without using Main method.